This is Denine from Pumpkin Spice. Thank you Pam for having me as part of your DT today. 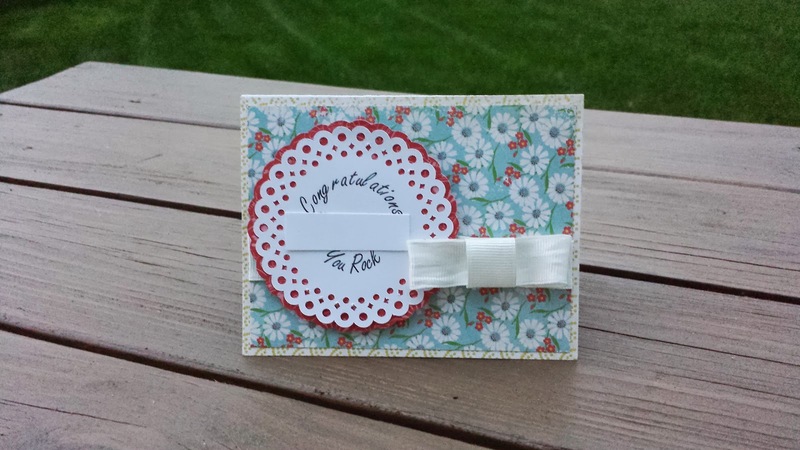 Today I have a card to share with you that is similar to last weeks because of the detail cut... BUT... i used my Cameo on this one. So much easier to clean up the little pieces. (no vacuum required.. hehe) I also had a lot of fun playing with the fonts and having them follow the shape of the circle. I am still learning but that was pretty awesome. But I was able to make 3 of these cards for different people with one file on the Cameo. Love it!!! I can go back and use it when ever I need a Congratulations card. and VOTE on Challenge #30 HERE! We also have a BLOG HOP today! Thank you for spending time with me, I hope you saw something that made you smile. Cute card Denine - love playing with fonts on my Cameo.